Load Trail has been manufacturing high quality trailers since 1996 and is one of the fastest growing trailer brands in the US. They manufacture a large number of trailer models including enclosed, transport, sport, gooseneck, car hauler, single axle, dump, utility, landscape, pintle hook, and many more. 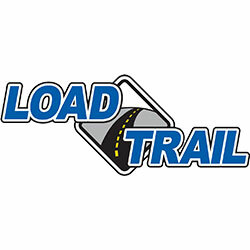 Load Trail offers a "232 Warranty” : 2 Year Comprehensive Coverage, 3 Year Structural Warranty and 2 Year Roadside Assistance. At Country Blacksmith, we have been a dealer of Load Trail trailers since 2007 and continue to be impressed with quality and price. That’s why we are proud to stock over 70 of their trailers including utility, flatbed, dump, equipment and tanker trailers. Be sure to check out all our add-on features using our new product options, which will help you customize your new Load Trail Trailer to your specific needs. Just check the options you want and then add to your cart! If you have any questions, give us a call or stop by our Carterville, IL or Mount Vernon, IL stores to talk to a trailer specialist! We always have trailers on order with Load Trail trailers so we can get you a custom built Load Trail trailer or Load Max in 8-10 weeks or less for most of their product lines.